Independent refineries, as important participants in China’s refined oil market, continued developing quickly in 2017. On the supply side, the crude-import quotas of China’s independent refineries totaled at over 100 million mt in 2017, and the operating rates of independent refineries’ atmospheric and vacuum distillation units improved continuously. Accordingly, China’s refined oil output increased year-on-year. On the demand side, China’s demand for gasoline and diesel was weighed down by new energy vehicles, shared bikes and environmental protection inspections. In the meantime, China’s independent refineries had some other difficulties in 2017. The independent refineries were not allowed to export refined oil in 2017. Sinopec and PetroChina launched the retail price war. The wholesale market competition became fiercer. The cross-regional arbitrage shrank sharply. Accordingly, the independent refineries were active to promote their retail network construction and extend their industry chains. Generally, China’s independent refineries had fine margins in 2017, backed by low crude oil prices. In 2018, China will continue speeding up the oil quality upgrade, which will support the development of independent refineries’ catalytic reforming units, alkylation units and isomerization units. Meanwhile, the market supply of GB VI standard gasoline and diesel will increase. Some independent refineries will have lower feedstock transportation costs, with the construction of supporting facilities, such as crude oil pipelines. In addition, the independent refineries are extending their industry chains and promoting the enterprise transformation. But China’s oversupply of gasoline and diesel will be intensified in 2018, due to the start of some big refining and chemical integration projects. At the same time, there is no confirmed news whether independent refineries will not be allowed to export refined oil in 2018. How will China’s independent refineries deal with such bearish factors in China’s refined oil market? Will the independent refineries’ profit model be changed, with severer environmental protection inspections and tax examinations? This report is mainly based on the primary data that SCI collects through researches, visits, consulting, etc. In addition, SCI also extracts and process the authoritative data which are issued by National Development and Reform Commission, National Bureau of Statistics, Ministry of Commerce and General Administration of Customs. 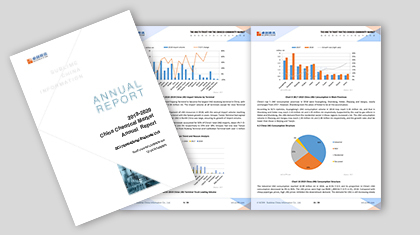 SCI gathers and analyzes information from refineries, oil traders and gas stations, in order to provide an authentic and comprehensive report on China’s independent refineries.